Zappit Blackjack is a unique form of traditional Twenty-One game that allows you to exchange your current hand and take your chances with a new pair of cards. The idea was originally introduced by Geoff Hall, avid Blackjack player and card counter, who patented the new Blackjack Switch structure in 2009 and made it even more appealing to the casino operators by adding the “Push 22” rule. 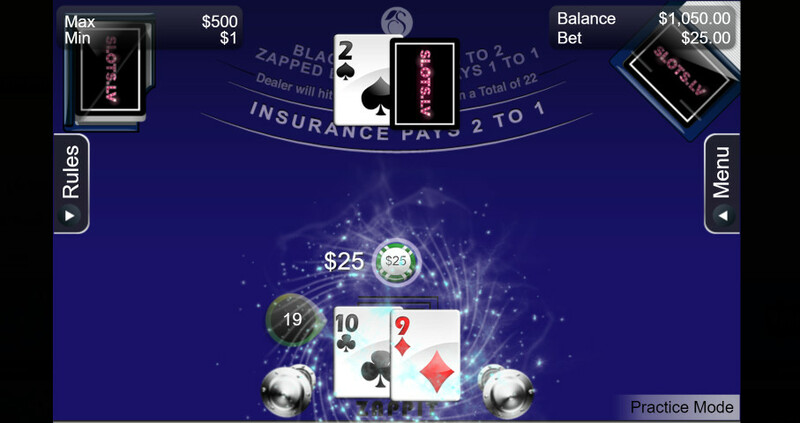 Zappit Blackjack is one of the most popular variants of the concept, enabling the players to “Zap” the unwanted hand of a certain total and get two new cards from the shoe. Despite providing you with more room to strategize, Zappit does not stray too far from its traditional structure. The objective of the game is to beat the dealer’s hand with a total of 21 or less, and hopefully end the session with some extra cash in your pockets. After the players place their bets, the dealer will start dealing the cards from a 6-deck shoe. Both the player and the house (represented by the dealer) will get two cards each. The hand that’s closer to 21 wins and the bets are settled according to the standardized payout table. …well then we can just “zap” them and get ourselves some new ones! Up to 3 hands can be split and only one extra card per each split Ace can be drawn. Zappit Blackjack does not allow re-splitting the Aces and if you happen to draw a 10 on the split Ace, the combination will not be considered a natural Blackjack. 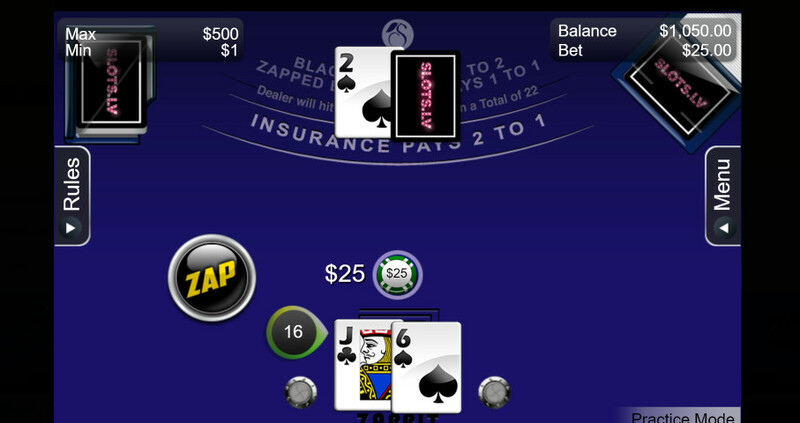 The most important rule of Zappit is, of course, exchanging your initial hand with the next two cards from the shoe. 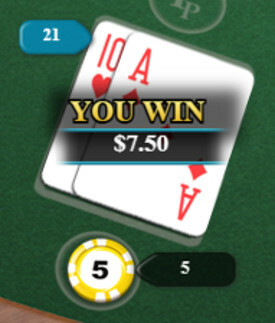 This option cannot be used on any hand value, and the player will only be able to take advantage of the “Zappit” feature on a total of 15, 16, or 17. Obviously, the main difference between the traditional and Zappit Blackjack is this particular precedent. 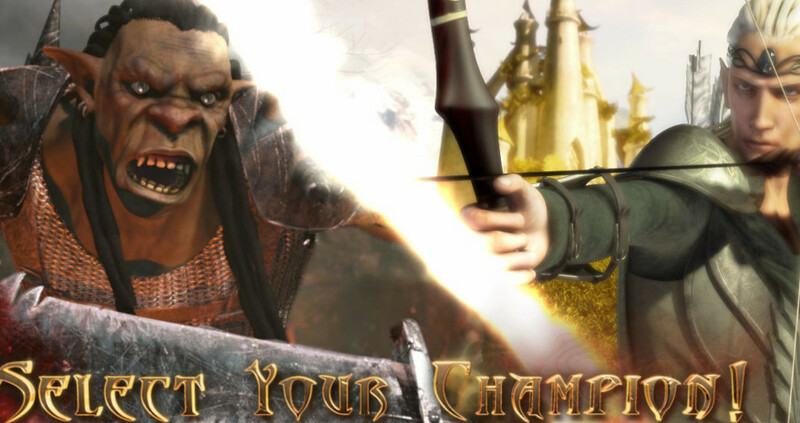 Exchanging your hand is not allowed in the regular version of the game under any circumstances and the players will have to make do with what they have. Another important difference that is likely to unnerve a lot of players, is the 22 Push rule. In the standard Blackjack game, the player wins if the house busts or recovers the bet when both hands (the dealer’s and the players) have the same total. The same rule does not apply to Zappit, and if the dealer busts with a total of 22, it will be considered a push. For some ‘Zappit’ Blackjack, other table games, as well as a bajillion slots, head over to Slots.lv where they’re currently offering a Welcome Bonus of up to $5000! Also, have you ever wondered if you could make a living by Online Gambling? We sure did! As mentioned, Zappit Blackjack bets are settled according to the standard payout table, unless the player lands a Blackjack after “zapping”. This will automatically reduce the Blackjack payout rate from 3:2 to even pay (1:1). The house edge is between 1.15% and 1.24%, depending on the provider; the SG Gaming (Shuffle Master) variant offers the lower house edge of 1.15%. Using Blackjack strategy can reduce (or even completely eliminate) the house edge, which is why most players almost always take the dealer’s hand into consideration before deciding on their next move. Zapping can be tricky, especially if you have a hard 17 – according to most strategies, this is where you should stand since there is a good chance that your bet will win. However, some players would recommend to “zap” your cards and apply the traditional strategy on the follow-up hand.